MANCHESTER — Manchester United will not sit back when Paris St Germain visits Old Trafford for the first leg of their last 16 Champions League meeting Tuesday, manager Ole Gunnar Solskjaer has said. United is unbeaten in all competitions since Solskjaer replaced Jose Mourinho in December and its improvement is down to the Norwegian’s insistence on an attacking style of play, as opposed to the defensive fare served up by his predecessor. “We’ve got to rediscover the Manchester United way of playing, and I don’t think many teams enjoy their nights at Old Trafford when we’re on song,” Solskjaer, who has 10 wins and a draw so far, said. Meanwhile, Edinson Cavani has been ruled out of the clash, French sports daily L’Equipe reported Sunday. 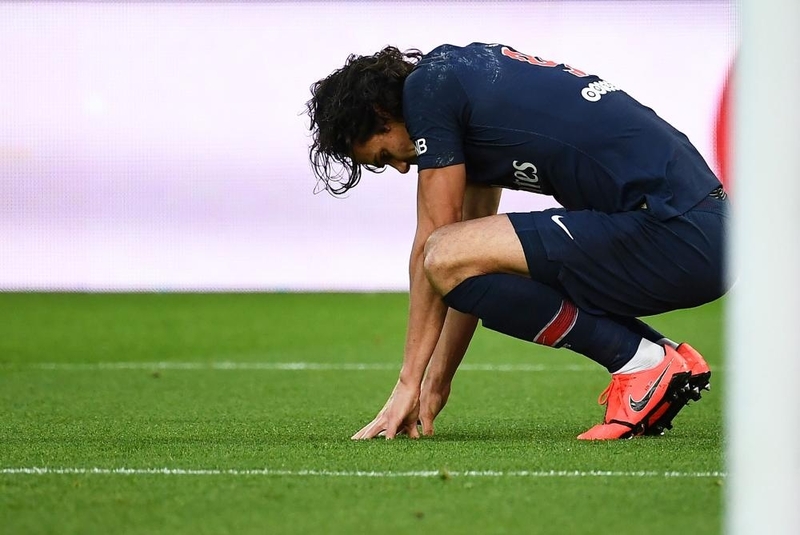 PSG said that Uruguay striker Cavani had sustained a hip muscle injury in Saturday’s 1-0 Ligue 1 victory over Girondins de Bordeaux adding to the side’s injury woes ahead of the last-16 first leg against a resurgent United side. PSG is already without Neymar, who was ruled out with a foot injury, leaving the French side with only Kylian Mbappe as a world class striking option. However, the club did not say that Cavani would definitely miss Tuesday’s match. “The treatment and the length of his absence will depend on the evolution (of the injury) in the coming days,” PSG said in a statement, adding that fullback Thomas Meunier would need to rest until next week after suffering a concussion. Whereas an expensive flop who lasted just a single season at Manchester United, Angel di Maria might be keen to prove a point when he goes back to Old Trafford. Those absences will place even more of an onus on Di Maria to show why PSG is prepared to make him its superstar signing in the summer of 2015, two years before Neymar and Kylian Mbappe arrived in the French capital. Di Maria scored only three times in 27 Premier League appearances in 2014/15 for a United side which finished fourth, a long way behind champion Chelsea.